A metal detecting enthusiast has dug up a bag of silverware which could have been buried for more than 30 years. 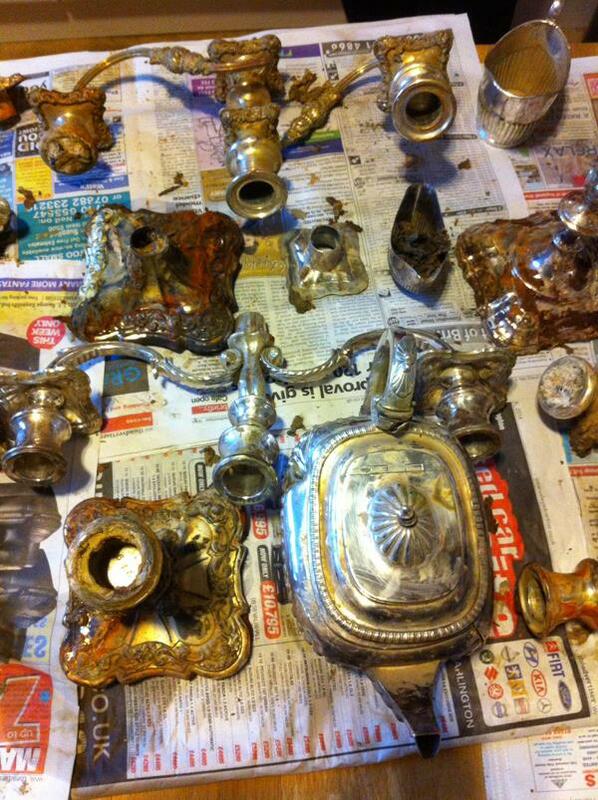 Candles, candelabras and a silver teapot, milk jug and sugar bowl made up the haul, which was discovered in a field in Summerhouse. The items were found taped up in a black bag, which also contained a scrap of newspaper detailing a UEFA football match which took place in 1982 – leading police to believe it could have been buried for more than 30 years.